"From managing my client relations, invoicing them, keeping track of payments, to knowing the receivables, Zoho Books has really helped us." Running a restaurant is exciting, but it often comes with an endless to-do list. You can be a seasoned restaurateur, with decades of experience in positions from chef to general manager, and still have questions about managing the finances of your business. Where to start? Isn't there an easier way to do this? We reached out to Rohit and Nikhil, the co-founders of Whomely, to get their insights about their business and the importance of having the right systems in place. 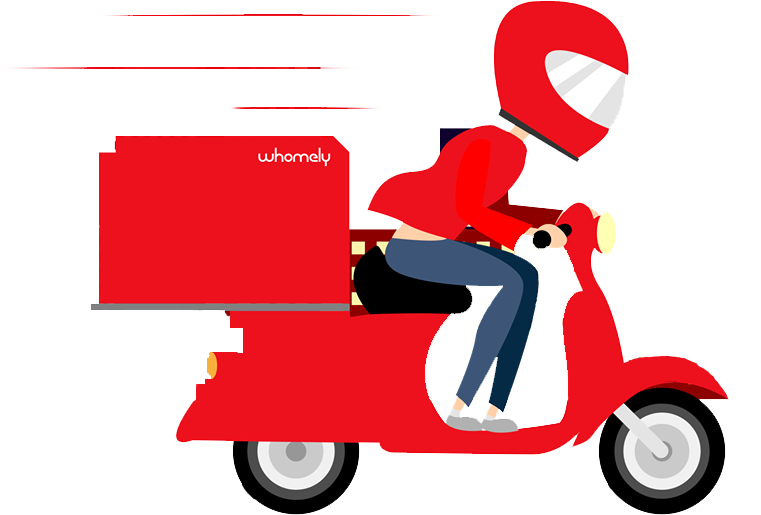 Whomely is a passion project of two happy-go-lucky friends, Rohit and Nikhil, offering affordable and homelike Indian cuisines delivered right to your doorstep. Between its diverse and delectable choices, and its total lack of delivery charges, this restaurant is changing the way we order food online. "All the meals are prepared by our expert chefs using the best of ingredients," says Rohit proudly. Rohit and Nikhil started with a very simple yet powerful goal: to keep their price point affordable for all and their choices focused on customer favorites. Now, Whomely accounts for about 1200 meals and more than 200 snack packets each day. Their kitchen operates around the clock, providing breakfast, lunch, snacks, and dinner. In the beginning, Whomely supplied 20 to 30 meals per day to individual customers in corporate offices. "Impressed with the food quality, the office cafeteria management asked us to get in a contract with them and start supplying meals for the entire office." This was great news for the company, but it turned up the pressure to find good financial tools. "I wanted something which would take care of my accounting, as well as my invoicing needs, anywhere and anytime," recalls Rohit. He was aware of Zoho Books from a blog he had read about 3 years ago before he started his own company. Rohit says, "Zoho is one of those companies that are very popular among the startup circle". Rohit tells us how Zoho Books helped him keep track of bulk orders, which are challenging because customers have a credit period of 15 to 30 days to make their payments. "Prior to this, we were losing a lot of money because we couldn't manually keep track of what amount we had to get from which client. But now with Zoho Books, it's pretty much sorted." When they switched to Zoho Books from Tally, Rohit and Nikhil were impressed by how professional their invoices looked. They appreciated the ease of using the software and the great user interface. Now Rohit's personal favorites also include the Transaction-matching and Categorizing features in the Banking module. Rohit says, "With our previous system it was a hassle and I used to lose track, but now every couple of days I just sit and refresh the transactions and match it immediately." "It's difficult to sum up Zoho Books in one line as it's a must-have for all small businesses. Going forward, I would like to employ the ease and adaptability of Zoho Books in more aspects of our business."